The deets: Rachel Pally "Roy" Midi Dress; J.Crew Racerback Tank Dress in Stripe; Old Navy Rib-Knit Midi Tank Dress. MDW is around the corner which means you get to pull out all of your 'Murica gear and drink beer at a BBQ in the sunshine somewhere. 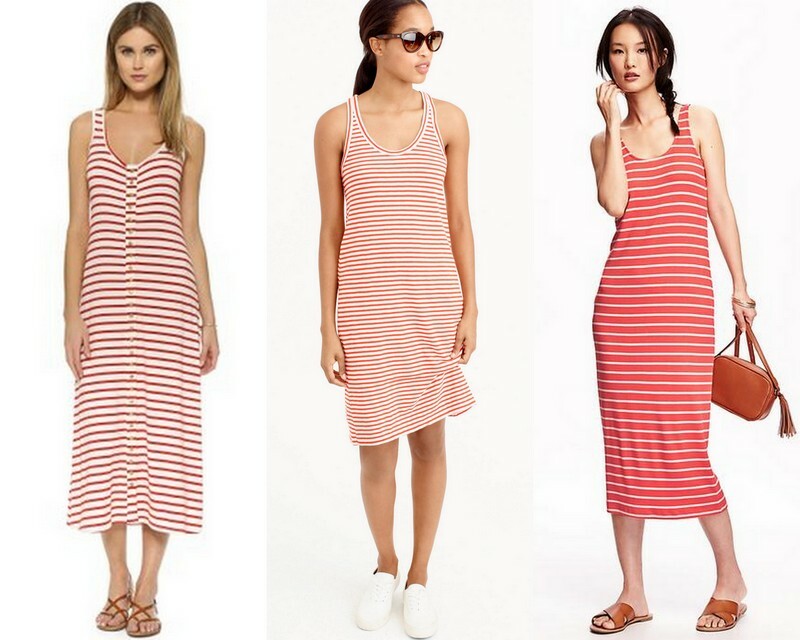 Donning a red and white striped dress is basically the classier version of that. I actually purchased the least expensive version above from Old Navy (hello $15 steal) which you might think would sit like a potato sack on a non model but I swear it didn't disappoint! Very comfortable and flattering on even this 5'2" curvy girl.